Tagaytay Wedding and Travel Expo Season 6 - Weddings & Debut - Kuro - Tsismis Pa More! There's another wedding event this month at Tagaytay. 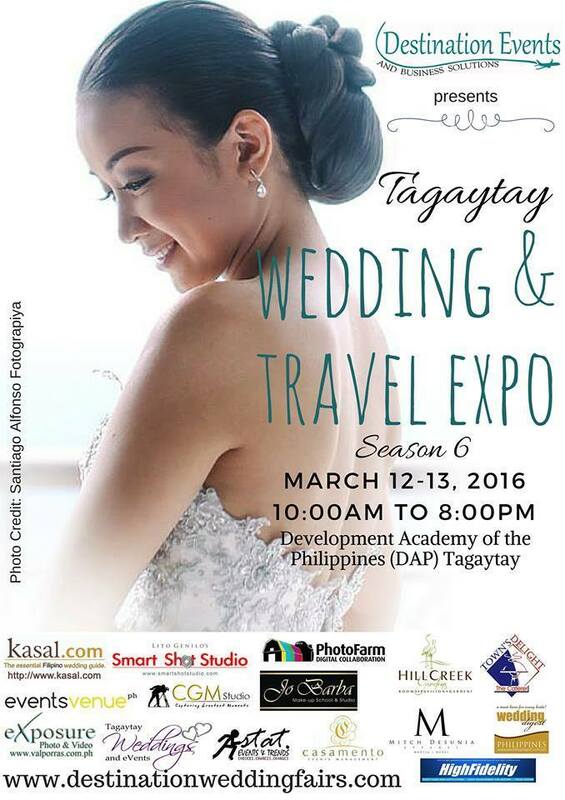 Dubbed as the "biggest Tagaytay bridal fair" this coming March 12-13, 2016 happening at the Development Academy of the Philippines Conference Center, Tagaytay (right before picnic grove). You can get more information from their website at www.destinationweddingfairs.com.